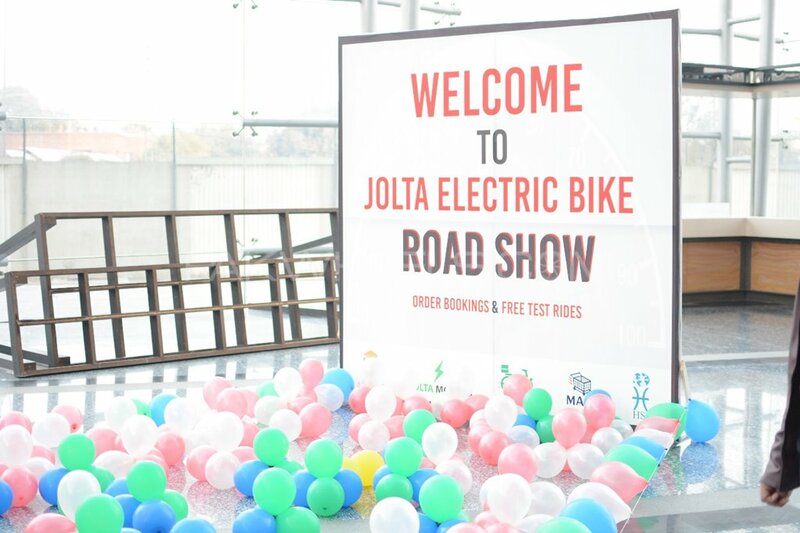 Jolta Technologies PVT Ltd. organises an e-bike roadshow at Arfa Software Technology Park today i.e. 7th January 2019. 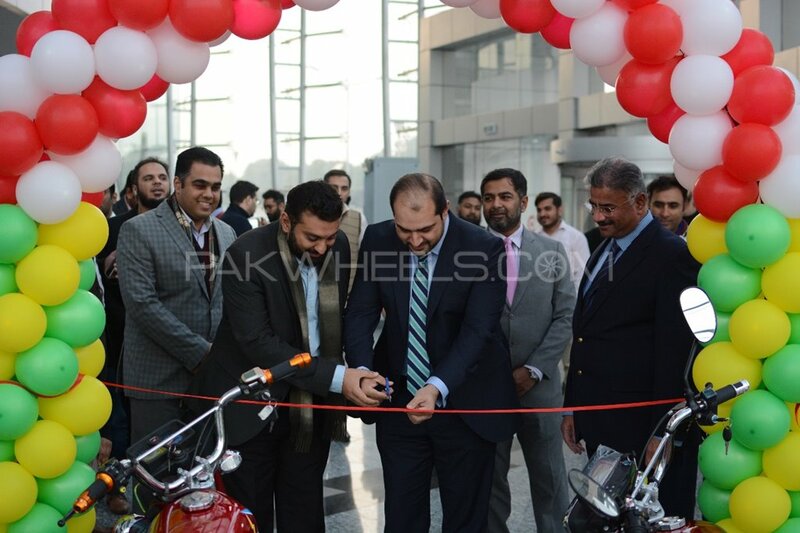 The event started sharp at 4:30 pm and was inaugurated by Mr.Faisal Yousuf Director General PITB. 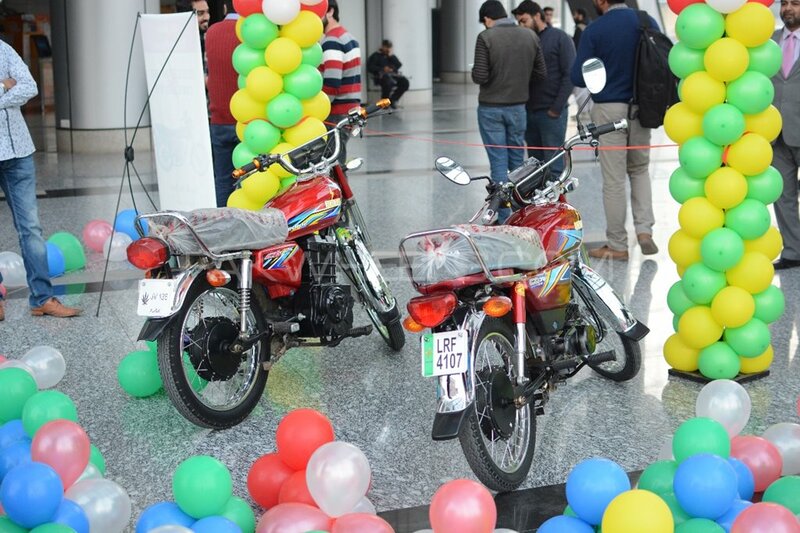 As per the details, two Jolta e-bikes; JE-70 and JE-125 are displayed at the technology park for the public. Free test rides are given to the people so they can experience the electric bike. Note that the company is not manufacturing electric bikes, it just converts them from a gasoline-powered vehicle to an e-bike. Once the bike is converted to an e-bike, there’s no need for fuel or oil change. The main aim of this event is to showcase the potential of e-bike kits, which the company is offering at reasonable prices. 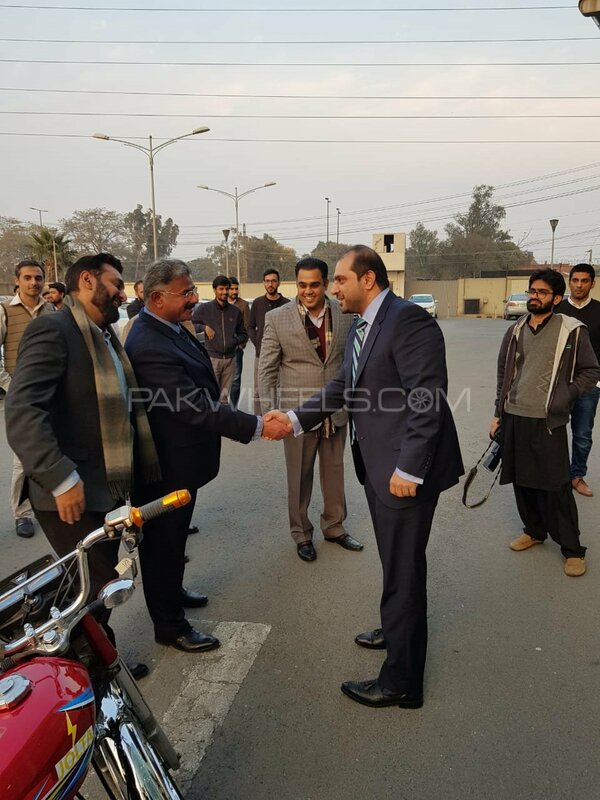 While speaking with PakWheels.com, an official of the company said that they are making cheap batteries for the bikes compared to the ones that are being produced in China. Our product, the e-bike kit is wholly being produced locally, he asserted. 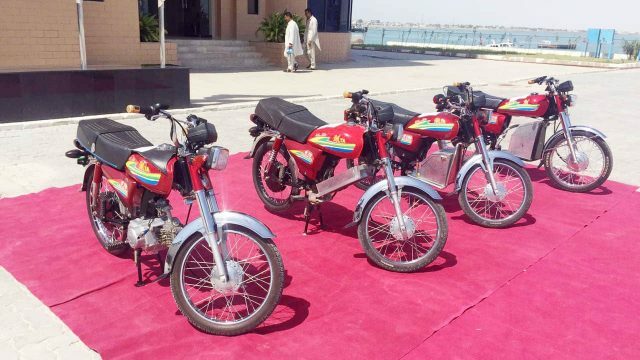 Orders are also opened for electric kits, the kit for a 70cc bike costs PKR 46,500 and for 125 bike PKR 80,000. 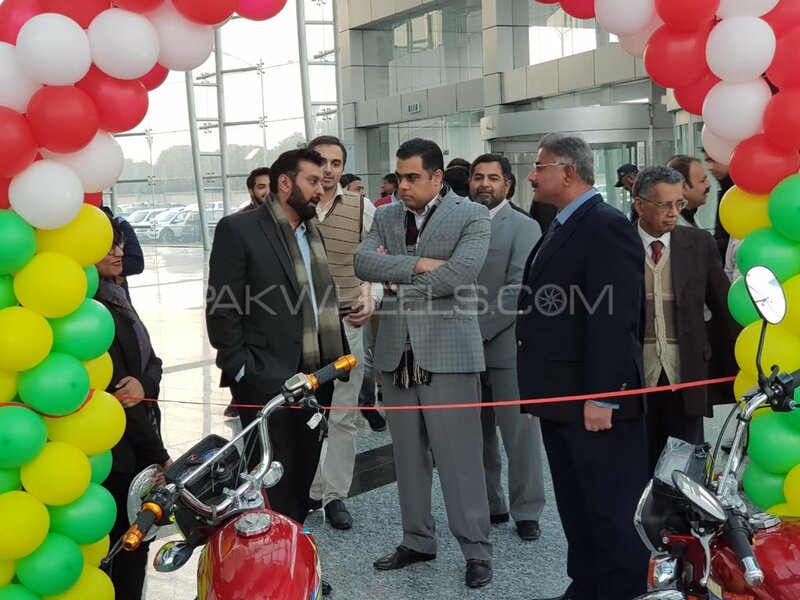 Moreover, the company is also offering its self converted 70cc and 125cc e-bikes for PKR 75,000 and 135,000 respectively. This is a five-day event, which will end on 11th January 2019. The JE-70 bike covers up to 60 KMs in one full charge and the top speed is 50 Kms per hour. 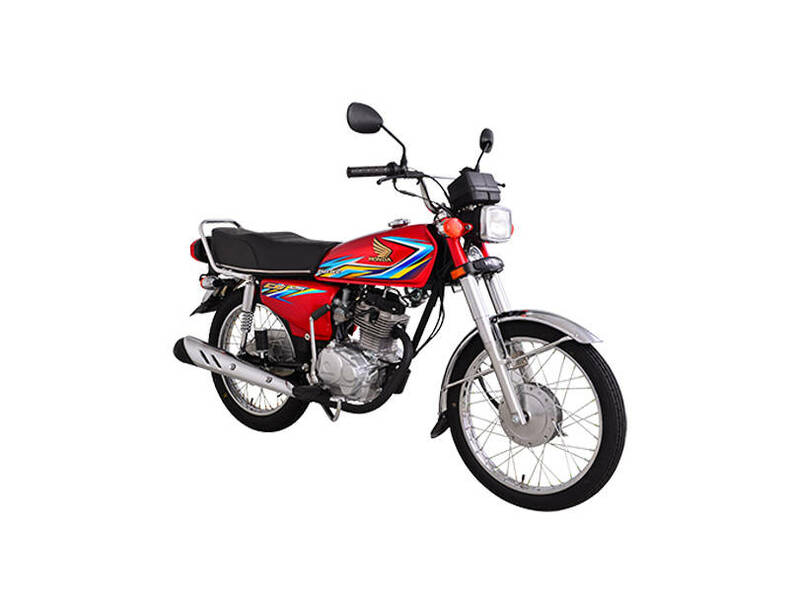 On the other hand, the JE-125 can cover up to 120 Kms in one full charge and the top speed is 80 kilometres per hour. The advantages of these bikes are that they are environmental-friendly, no emission whatsoever. Furthermore, no noise pollution as well because it runs on an electric motor, not an engine and it is cheaper than the gasoline-powered bike. However, there is also a downside of these bikes and that is they take a long time to charge/recharge.